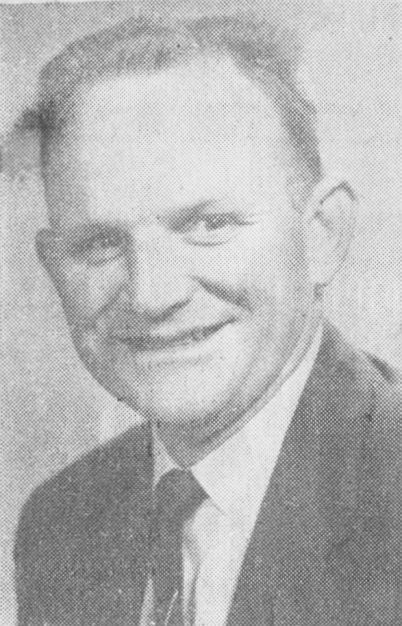 James E. "Jim" Lowe Jr. (1926-2000) was one of WRR’s best loved personalities. 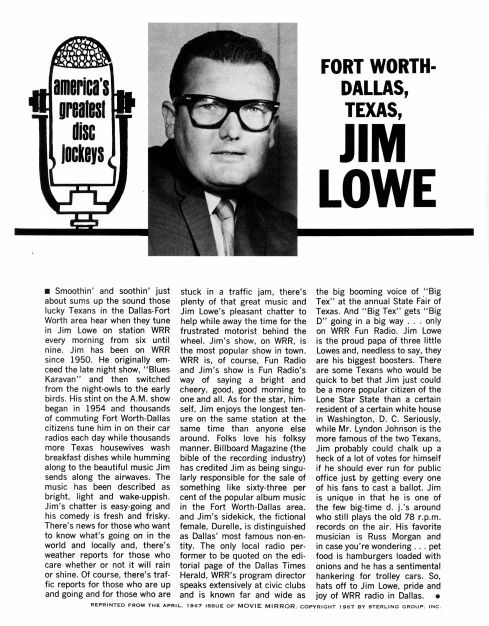 The Fort Worth native helped start KXOL-AM in the late 1940s and was an announcer and music director before moving to Dallas in 1950, where he began a 24-year career with WRR-AM. As “The Cool Fool,” Lowe introduced white Dallas and North Texas listeners to Rhythm and Blues music and artists with his Kat's Karavan show. Many future DFW-area stars including Jimmie and Stevie Ray Vaughan, Steve Miller, Boz Scaggs, Doyle Bramhall, and Delbert McClinton, were acknowledged listeners and devotees. He brought a number of innovations to the station, including the Library of Laffs, which played cuts from comedy albums throughout the day. 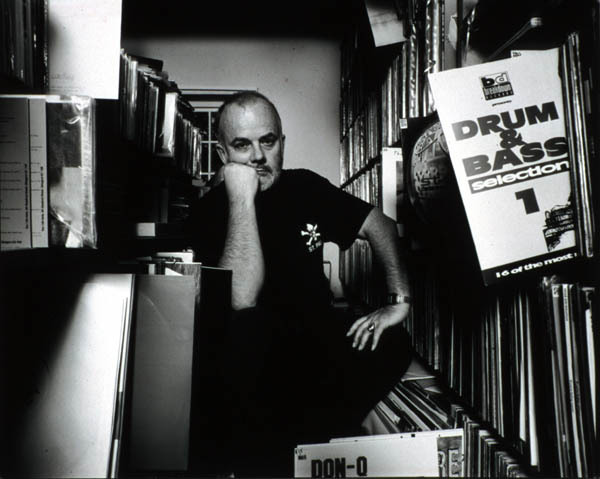 John Robert Parker Ravenscroft, (1939 – 2004), known professionally as John Peel, was known for his eclectic taste in music and his honest and warm broadcasting style. He was an internationally popular, respected, and influential DJ and broadcaster who introduced hundreds of new artists to the world’s airwaves. 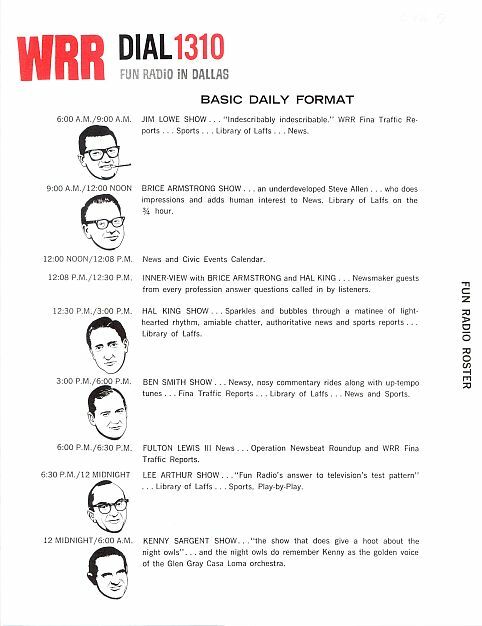 In 1961 he got his first radio job in Dallas, albeit unpaid, working for WRR where he presented the second hour of the Monday night program Kat's Karavan. Following this, and as Beatlemania hit the U.S., Peel became an official Beatles “expert,” due to his being from Liverpool. He later worked for KOMA in Oklahoma City until 1965 and KMEN in San Bernardino, California before returning to England in early 1967 to work with the offshore pirate radio station Radio London. He enjoyed a long career with the British Broadcasting Corporation from 1967 until his sudden death in 2004. Al Jones (1918-1956) was an announcer and dj at WRR for only eight years, but he was well remembered for his work at the station and around Fair Park, where he emceed acts at the Magnolia Lounge and provided the original voice of Big Tex at the State Fair for Tex’s first three years.